Those who have struggled with their weight know that following a program and losing the weight is not the difficult part. Keeping the weight off long term is the greatest challenge. With that in mind, Southcoast Health offers a variety of weight management programs in Dartmouth, Fall River and Wareham, MA to guide you on your journey to better health. These programs, offered by our nutrition department, have been proven effective in helping people not just lose weight, but make important lifestyle choices to maintain a healthy weight for the rest of their lives. Whether you’re on your way to achieving your weight loss goals or you’ve already lost the weight and are set on keeping it off, Southcoast offers many programs geared toward our patients’ success. This 3 C’s for Success program aims to teach participants healthy food choices, behavior change and appetite awareness. Participants will meet individually with a Registered Dietitian prior to starting this 12 week program to discuss their individual, calorie-controlled meal plan. Participants will then meet for weekly group meetings through the end of the program. Developed more than 30 years ago, OPTIFAST is a comprehensive weight management program that combines lifestyle education, meal replacement and medical monitoring to achieve significant results in weight loss. Southcoast offers two OPTIFAST program options: a full fasting 18-week program or a partial fasting 12-week program. 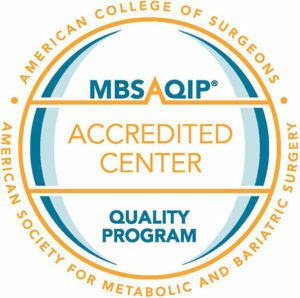 Consultation with Dr. Jessica Inwood, certified by the American Board of Obesity Medicine, is available to adult patients with a body mass index (BMI) of 27-30 with a weight-associated diagnosis such as hypertension, high cholesterol, diabetes, fatty liver or sleep apnea. Dr. Inwood obtains a thorough weight history, including motivating factors, past successes and barriers to success, health concerns, medication review and lifestyle habits. When appropriate, Dr. Inwood prescribes weight loss medication to complement a structured nutrition and physical activity plan. A recent EKG and labs are requested prior to beginning some medications. Participation in one of our nutrition programs is required to optimize results. After initial consultation, patients return in one month, then every 1 to 3 months thereafter. a 5-10% weight loss at 3-6 months indicates response to treatment. Medication may be continured longer-term to help attain more ambitious goals. Ready to learn more? Please call 508-973-1850 for more details on our programs. We have ongoing enrollment so you can join our programs at any time! After completing one of our weight loss programs in Fall River, Dartmouth or Wareham, we encourage patients to attend maintenance meetings. We also offer weight management program benefits for current Southcoast employees. Be confident in your weight loss efforts and make a plan with the many weight loss programs at Southcoast Health. We’ll find the best option for you and make sure you can stick with it for the long haul — find your nearest Southcoast Center for Weight Loss location today. The Southcoast Center for Weight Loss offers options for patients wanting to lose weight without surgery, including 3 C’s for Success and OPTIFAST, in Fall River, Dartmouth and Wareham, MA.